1. Click on the Admin tab and select Manage Members. From the list of your members choose the member's name you want to award a badge. 2. You will be taken to the member's profile page, where you can click the Award link at the top of the the page. 3. 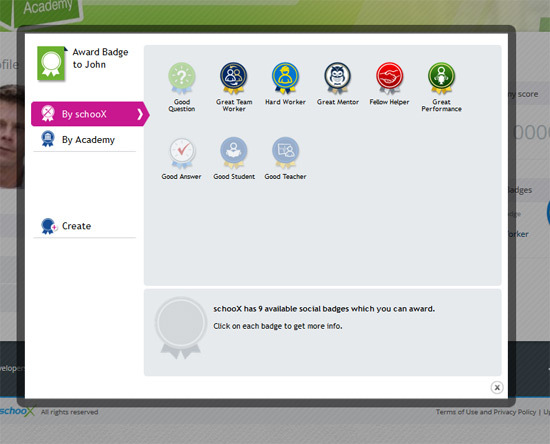 In the pop-up window that opens, select the desired badge. Then, click the blue Award Badge button near the bottom of the window. The member will get a notification that a badge has been awarded to them.